Electric power tools vector set. 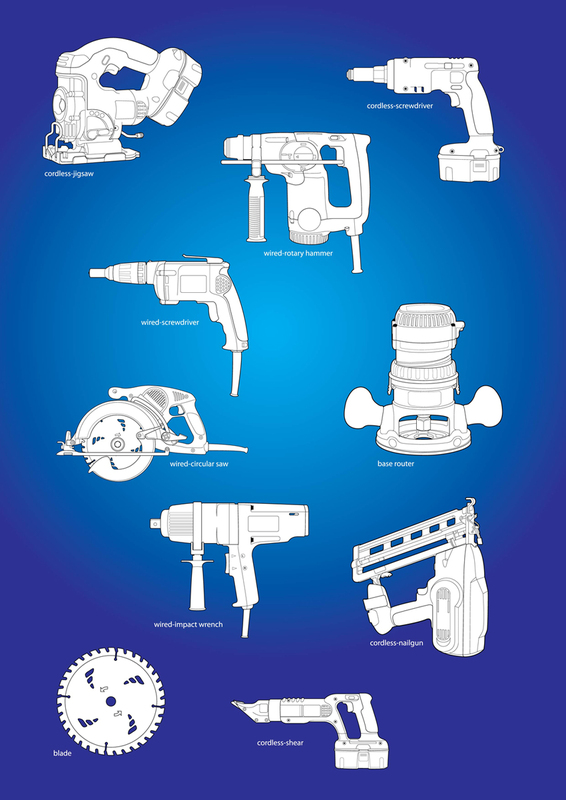 Vector art pack of various power tools, including a jigsaw, screwdriver, rotary hammer, base router, circular saw, nailgun, blades and cordless shear. Vector art pack by www.kngzero.deviantart.com 0.